In our previous article, we presented the Focke-Wulf FW 190 D9-D13 aircraft. 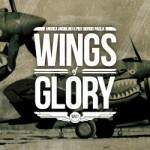 Now, let’s learn something more about the pilots of the three versions included in the WW2 Wings of Glory Airplane Packs: the German aviators Waldemar Wübke (LW), Franz Götz (LW), and the glorious unit Jagdgeschwader 26. Waldemar Wübke was a Luftwaffe fighter pilot during World War II. He was one of the few Luftwaffe fighter pilots to survive combat duty over the entire course of the war. Wübke flew various types of German fighters in combat and was credited with a total of 15 victories over Allied aircraft. In 1940 as a Leutnant, Wübke flew sorties with pilots of the 9. Staffel, III./Jagdgeschwader 54 (JG 54) during the Battle of Britain. His first known Channel victory was against a Blenheim on 9 September 1940. His second victory was still in a Blenheim on 11 September 1940. His third was against a Spitfire in the Rochester area on 5 October 1940. Another Blenheim in the Ashford/Chatham area on 9 October 1940 was the fourth and last victory during the Battle of Britain. Hauptmann Wübke (the second from left to right) with other pilots sitting on Red 3. He gained other victories on the Eastern Front during 1941 against Soviet SB-2 and SB-3 aircraft. His last combat flights were made in 1945, flying "Platzschutz" or airfield defense missions for General Adolf Galland's Me 262 jet squadron, Jagdverband 44 (JV 44). 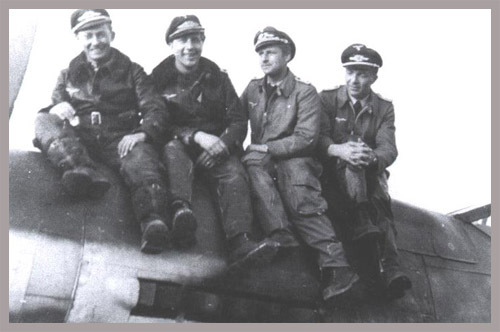 Along with a handful of experienced fighter pilots, the now Hauptmann Wübke flew the outstanding piston-engined FW 190 D-9 fighter in an effort to protect the jets of JV 44 from attack by Allied fighters during take-off. Their unit was based close to the jets at München-Riem in Germany. Since the airfield at München-Reim was heavily protected from Allied aircraft by flak batteries, the FW-190 Ds of the Würger-Staffel had to be instantly recognizable as ‘friendly’ to the flak battery crews. To facilitate this, the under surfaces of many of the airfield defense fighters were painted bright red with white stripes. JV 44's unofficial unit crest was a red trimmed white circle, with a black and white checker board in the middle, and most of the FW-190 Ds used in this unit wore this emblem. Hauptmann Waldemar Wübke regularly flew the FW 190 D-9 coded “Rot 3” (Red 3). Wübke painted his personal emblem, “Im Auftrage der Reichsbahn” ("In service of the Reich Railway") in white lettering, on the port side of the fuselage under the cockpit of his aircraft. This was a sarcastic reference to Wübke's loathing of fighter-bomber missions, many of which he was forced to undertake in his early career as a combat pilot. In his opinion, trains were better used to carry bombs, not fighter aircraft. 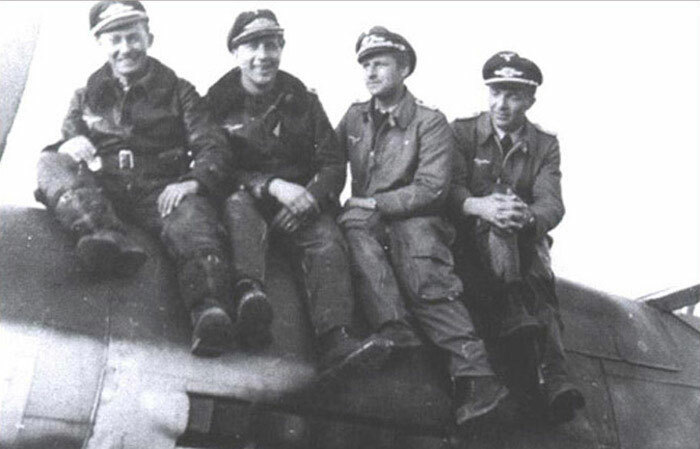 The ability and success of Wübke and his fellow ‘Würger-Staffel’ pilots is evidenced by the fact that very few Me 262s of JV 44 were destroyed on takeoff. Most that were pounced on by Allied fighters were destroyed on landing at various other landing strips. Wübke died in an airplane crash in South America in the early 1950s. Franz Götz was born on 28 January 1913 and was one of the more famous German Luftwaffe fighter aces. He was awarded with the Knight's Cross of the Iron Cross (Ritterkreuz des Eisernen Kreuzes)during World War II, in 1942, to recognize extreme battlefield bravery and successful military leadership. He was the last Geschwaderkommodore (wing commander) of the renowned Jagdgeschwader 26 "Schlageter." Franz Götz in a portrait photo with his medals and awards. Götz enlisted as a fighter pilot in the pre-war Luftwaffe and began the war with III./Jagdgeschwader 53 (JG 53—53rd Fighter Wing) "Pik-As." Holding the rank of Oberfeldwebel, he gained his first victory in May 1940, during the Battle of France. He served with JG 53 through successive European, Soviet, Mediterranean, and Reich defense campaigns. He served as Gruppenkommandeur (group commander) of II./JG 53 from October 1942 until early 1945. He claimed his first of three B-17 Flying Fortress on 24 August 1944 over the Lüneburger Heide. On his 32nd birthday (28 January 1945), Gotz was posted as Geschwaderkommodore of Jagdgeschwader 26 (JG 26—26th Fighter Wing), based at Fürstenau. His final tally was 63 victories, including 3 heavy bombers. During his flying career, Franz Götz was also awarded the Iron Cross 2nd and 1st Class in 1939, Ehrenpokal der Luftwaffe in 1940, and the German Cross in Gold in 1941 as Oberleutnant in the 9./JG 53. At the end of the war Götz's Fw 190 D-13 surrendered to the British at Flensburg, in Northern Germany. The I. and II. Gruppe of JG 26 was formed in May 1939, in Odendorf and Bönninghardt from I. and II./Jagdgeschwader 132 (JG 132). This unit participated in every campaign during WW2 and they showed their abilities in many different aircraft. In November 1944 II Gruppe re-equip with the improved FW 190 D-9 'Dora' to challenge the Allies forces, on earth and air. JG 26 took part in Operation Bodenplatte, the low-level, massed fighter attacks on Allied air bases in the Low Countries. 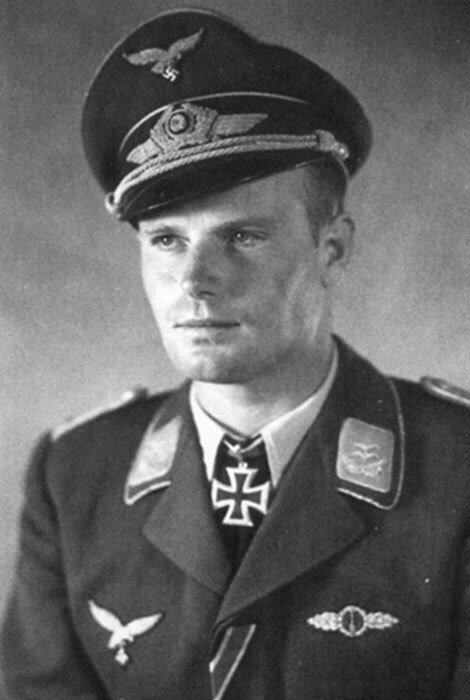 Led by Oberst Priller, over 60 FW 190 D's of I/JG 26 and the subordinated III/JG 54 attacked the RAF airfield at Grimbergen, destroying 5 bombers and a Mustang, along with various trucks and equipment. 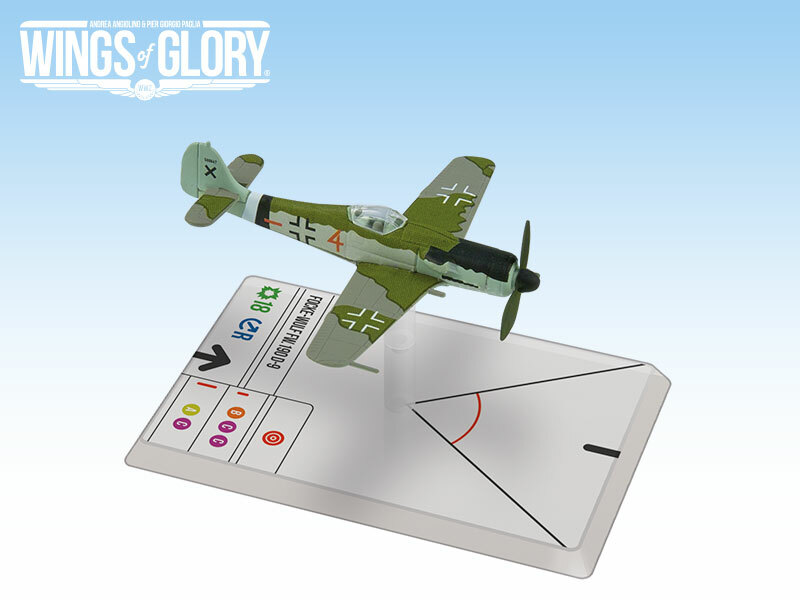 The Wings of Glory miniature of FW-190 D-9 from 7. 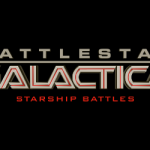 Staffel, II. Gruppe of Jagdgeschwader 26. 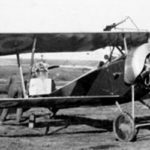 However, 24 aircraft failed to return, over half falling to German friendly fire. Meanwhile, II. and III./JG 26 attacked Brussels - ever the home of the RCAF's crack No 127 Wing, flying Spitfires. Just 11 Spitfires were destroyed and the attackers lost 17 aircraft. JG 26's losses were indicative of the Luftwaffe's casualties that day, with some 300 of the 900 fighters involved failing to return safely. The operation marked the end of the Luftwaffe's hopes for effective and concerted operations against the Allies in the future. However, even with the adoption of an aircraft as the solid as FW 190 D-9, the war was already lost for Germans. 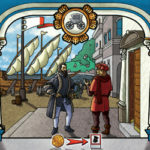 Information sources: Wikipedia - Waldemar Wübke, World Naval Ships, Wikipedia - Jagdgeschwader 26; Axis History, Wikipedia - Franz Götz, Military Art, Rafiger.de,Wikimedia.